With many types of home improvements, at least a portion of the cost that you put into the improvement can be recouped from additional value when you sell the home. While each project is different, some projects can have multiple benefits that impact property value and overall desirability with a new home buyer. 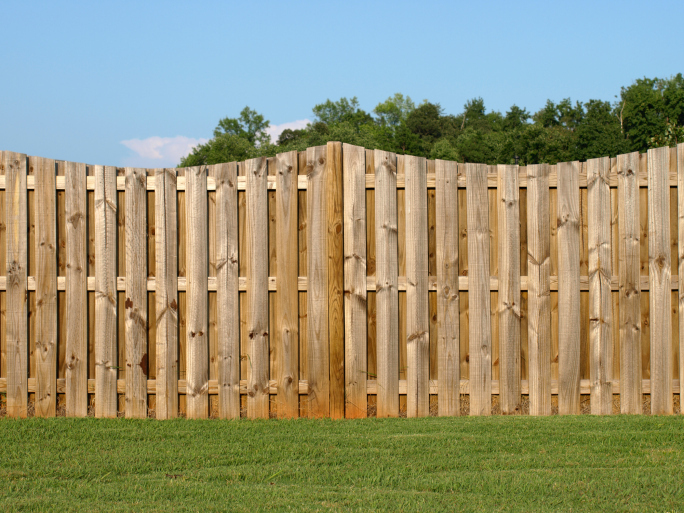 Adding a beautiful wooden fence to your yard is a great way to boost resale value, and with a closer review, you may determine that you want to install a new privacy fence to your property soon. While there are different types of wood fences that you can install, a wood privacy fence is among the most common types. Many people enjoy relaxing in their backyards without nosy neighbors and passersby peering at them. A privacy fence can reduce or eliminate visibility into your yard as well as into the back windows of your home, and this is a true benefit that will make your home more comfortable to live in and more appealing to a potential buyer. While some people want to have a large, open backyard without a visibly defined border, many love the security and peace of mind that comes with having a wood fence around the backyard. In fact, this is almost a priority for home buyers who have kids and pets who may want to roam around in the backyard because it helps to keep them safe and secure when outdoors. A wood fence may commonly be placed around the perimeter of a backyard, it can typically be seen directly from the front of the home. It can be used to conceal certain features of the backyard that may detract from curb appeal, and it can also give your front yard a neater and more refined appearance. A well-maintained and stained wood fence can be a beautiful addition to your front and backyard alike. Before you make your final decision about whether to install a wood fence on your property, you may be wondering how much of the cost will be recouped through an increase in property value. A great idea is to reach out to an experienced real estate agent with knowledge of your local market. Your real estate agent can provide you with more information about this improvement before you make your final decision. The minutes of the March meeting of the Fed’s Federal Open Market Committee (FOMC) were released Tuesday and included a staff review of current economic conditions. The minutes noted that while labor markets continued to grow, inflation to the Fed’s target rate of 2.00 percent was impeded by dropping fuel prices. The Committee noted that expectations for longer-term inflation remained stable. Non-farm payrolls, which include both private and public sector jobs, grew in January and February and the national unemployment rate reached a new low of 5.50 percent in February. Readings for workers employed part time due to economic reasons edged down and workforce participation was up. These developments are noteworthy as in recent months analysts have repeatedly cited concerns over the numbers of workers who have stopped looking for work and those who work part time because they cannot find full-time employment. Meeting participants said that underutilization of labor resources “continued to diminish,” but also said that levels for those involuntarily working part-time and still elevated numbers of workers no longer seeking employment. Personal consumption expenditures slowed in the first quarter due to falling fuel prices and winter weather conditions. Households had more disposable income and household wealth increased due to increasing home values. The Committee said that consumer sentiment was near pre-recession levels according to the University of Michigan’s consumer sentiment survey. The FOMC minutes reflect the committee’s view that housing markets are performing at a slower rate than other economic sectors. The minutes said that building permits and housing starts for single family homes were lower in January and February. Sales of new and existing homes were down in January, but pending home sales rose. This suggests that while markets slowed (as they typically do) during winter, pending sales suggest that completed sales will recover in the late winter and early spring. The FOMC minutes noted that mortgage credit remained challenging for those in the lower portion of the credit score distribution, but said that the cost of mortgages was historically low for those who qualified for home loans. The Committee also addressed the likelihood of raising the Federal Funds rate in its usual non-definitive manner. While raising the rate at the next meeting seemed unlikely, committee members wanted the flexibility to raise the target federal funds rate when conditions warrant. The target rate is currently set at 0.00 to 0.25 percent; when the FOMC moves to raise the target federal funds rate, the cost of credit including mortgage loans can be expected to increase. When you make the decision to sell your home, you may eagerly seek assistance from a skilled real estate agent. A real estate agent offers important services that can help you to more successfully and easily sell your home in the fastest amount of time and for the best price. This is a professional who is committed to helping you achieve your goal and who will not be compensated for his or her efforts unless successful. With a closer look at how real estate commissions are earned, you will see that your agent will work hard for his or her compensation. A real estate agent will go to great lengths to help you sell your home. From helping you to establish a fair and competitive listing price to assisting with marketing, contract negotiations and more, your agent will take considerable steps to help you with all stages in the selling process. He or she will often pay for some related expenses out of his or her own pocket, such as printing fees for flyers and snacks and décor for open houses. Real estate agents generally will begin working for you as soon as you sign a listing agreement, and they will not collect any fees up-front. All out-of-pocket expenses will not be reimbursed to the agent unless your home sells, and your agent will not be compensated for the many hours he or she spends marketing your home and working with sellers’ agents on your behalf until your home is actually sold. 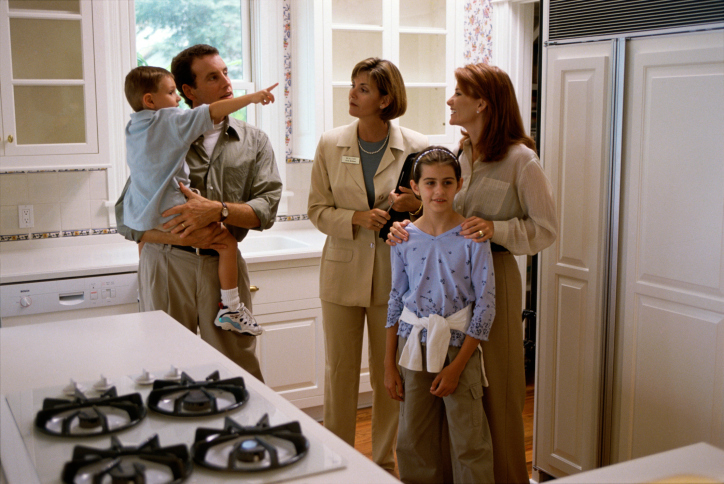 If your home does not sell, your agent will receive nothing for his or her attempts. Keep in mind that the total compensation that you pay for real estate agents’ fees will typically be split between the buyer’s agent and the seller’s agent. Real estate agents essentially get compensated for their performance and their ability to follow through on what they say they will do for you. Their services are being used by you to sell your home, and you will not pay an agent unless this goal is accomplished. If you are thinking about using the services of a real estate agent when listing your home for sale, you can learn more about the professional services and related agent fees by contacting a real estate agent today.